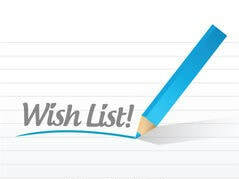 Our Wish List... Can you help? Yes, we have a wish list. Can you help? As a National Registered Historic Property and house museum open to the pubic, we have ongoing needs and rely on our community to help us meet these needs. We also know sometimes you want to give something more specific than a cash donation. So, we have created this lists of goods and services. In some cases, the items requested are for ongoing operations and in other cases, the items are for planned restoration and preservation projects. ​In addition to the items listed on this page, we have created an online wishlist via Amazon. You can help us out twice when purchasing items from the Amazon list by remembering to log in to Amazon Smiles and selecting The Friends of the Rising Sun Inn as your designated charity.